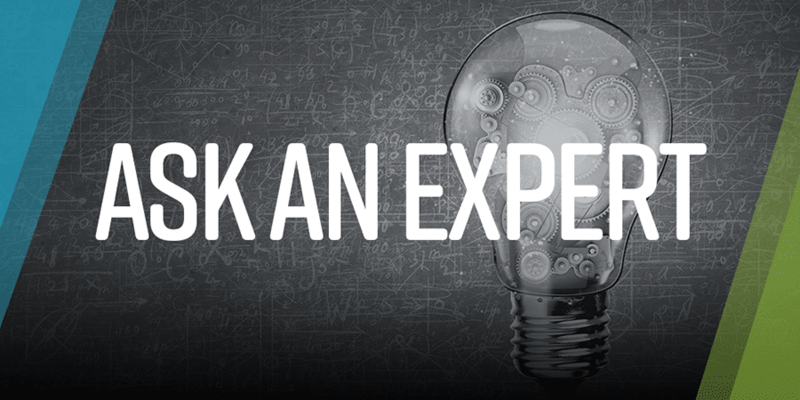 For this edition of our “Ask an Expert” series, we interviewed Dr. Imin Kao, who leads the regional New York Manufacturing Extension Partnership (New York MEP) center for Long Island, known as the Manufacturing and Technology Resource Consortium (MTRC). MTRC began its MEP designation in 2016. It brings a consortium approach to MEP services on Long Island, leveraging the Composite Prototyping Center and assets on Stony Brook University’s (SBU) campus. These include multiple Centers of Excellence, Centers for Advanced Technology, the Small Business Development Center, and SPIR (Strategic Partnership for Industrial Resurgence) business and advanced engineering assistance programs. 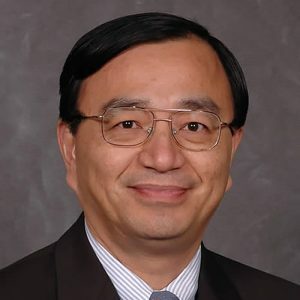 Dr. Kao’s individual expertise is in the areas of robotics and manufacturing automation, dexterous manipulation with soft fingers, wafer manufacturing, wiresaw, MEMS and intelligent fault detection and diagnosis. Long Island has one of the densest concentrations of manufacturing establishments in the state, numbering over 3,000. What makes your manufacturing market unique within the New York MEP system? We serve many small and medium-sized enterprises (SMEs) in the region, with diverse manufacturing expertise and capabilities. Many of these SMEs are high-tech companies that have close research collaboration with the research institutions and universities in the region (Stony Brook University, Brookhaven National Laboratory, Cold Spring Harbor Lab, New York Institute of Technology, Farmingdale State College, Hofstra University, etc.) for the development and transfer of new technologies to market in the areas of biotechnology, energy, sustainability, IT, and defense/homeland security. Over the last three decades, Stony Brook University’s economic development office has established various programs and R&D centers that serve New York State and the Long Island region, including SUNY’s Strategic Partnership for Industrial Resurgence; Empire State Development-supported Centers for Advanced Technology and Centers of Excellence in energy, biotechnology, sensors, and wireless and information technology; and the Long Island High Technology Incubator and Calverton Business Incubator. The Composite Prototyping Center, a resource unique in the northeastern U.S. that partners with the campus’ Additive Manufacturing and Prototyping Center, provides services enabling Long Island companies to compete at the forefront of advanced manufacturing technologies. These programs, plus those offered by institutional partners, provide seamless integration of advanced technology and training resources for SMEs to excel and develop their core competence for global markets. Thus, our manufacturing market is unique within the New York MEP system in the focus on multi-sector high-tech industry at all stages of development, especially in biotechnology, defense, energy and IT, with exceptional strength in partnership with a uniquely wide spectrum of programs for manufacturing industries. Long Island is focused on biotechnology as its priority industry cluster, as designated by the Regional Economic Development Council. And the defense and chemicals industries are important manufacturing employers in the area. How is MTRC serving manufacturers in these industries? continuous improvement including “incremental” improvement of manufacturing products and outcomes over time or “breakthrough” all-at-once. In addition to such targeted technology support, sector-specific programs also provide assistance as described below. The Biotechnology Entrepreneur in Residence program provides initial support for experienced leaders to create new ventures around the commercialization of regionally-originated technologies. The Biostrategies Sessions provide pitch preparation and business strategy development for companies seeking to obtain investment or enter new markets or lines of business. The Fundamentals of the Bioscience Industry program provides a management development pathway for doctoral graduates and entry level biotech employees. The New York State Center of Excellence in Wireless and Information Technology (CEWIT) at SBU has a highly productive medical technologies division that assists the biotechnology industry, and its wireless and IT capabilities are important for defense subsectors remaining on Long Island, including cyber solutions for battlespace, command, control, computers, communications, intelligence, surveillance and reconnaissance programs, and autonomous systems. The Advanced Energy Center (AERTC) is located at the university’s Research & Development Park and is a true partnership of academic institutions, research institutions, energy providers and industrial corporations. Its mission is innovative energy research, education, and technology deployment with a focus on efficiency, conservation, renewable energy, and nanotechnology applications for new and novel sources of energy. The New York State Center for Advanced Technology in Sensor Systems and Diagnostic Tools (Sensor CAT) co-invests with companies in multidisciplinary product development projects involving electrical and mechanical engineering, advanced materials, and information technology for defense and commercial manufacturers. The Center for Integrated Electric Energy Systems (CIEES – another New York State Center for Advanced Technology) supports both conventional and alternative energy projects for diverse kinds of energy companies. What are the most critical services Long Island manufacturers need in order to compete? In addition to the advanced technology services described above, Long Island manufacturing faces challenges of workforce and human capital. The region is expensive to live in. Attracting skilled workforce is critical to the continuing success of industries in this region. This need is serviced by the MTRC with workforce training programs to enhance proficiency and to address skill gaps. In addition, we must continue to innovate and help start-up companies and SMEs to enhance their core competence and global competitiveness to excel in this global economy. This is especially true in biotechnology, where innovation needs to be integrated with business know-how in order to succeed. To this end, the expert consulting services provided by MTRC will be a key to facilitating competitiveness and enhancing manufacturing growth. Could you share a recent success story with us? As the new regional New York MEP center serving Long Island, MTRC operations commenced in August 2016 (five months ago). We have 20-some projects underway, and while none have been completed, I can share that we are working with several biotechnology companies on very promising proof-of-concept and validation projects. Together with our consortium partners, we’re helping to develop a prototype of a pacemaker that would help prevent diaphragm dysfunction for ventilator patients; prototyping an ultrasound medical device for the treatment and pain relief of osteoarthritis—a $4 billion market, which currently has no cure; and helping a company to validate its market for a new arterial “replicator” that is customizable and 100% accurate for the planning of endovascular interventions, including stents and implants. These projects intersect with some of the most rapidly growing areas of health care. How will you be working with FuzeHub? We are delighted to work with FuzeHub as a partner organization within the New York Manufacturing Extension Partnership. There is a lot of collaboration we can undertake to drive new companies into the system and help connect them to the right resources. To contact MTRC, email Dr. Lisa Chichura (lisa.chichura@stonybrook.edu) or Dr. Imin Kao (imin.kao@stonybrook.edu).